In particular, our API opens up a whole new world of possibilities for research, data analysis and lead discovery. For instance, your IT team can now automatically pull SponsorPitch data into their own customized, sortable database or into a handy always updated sponsorship RSS feed for your sales team. Say goodbye to cutting and pasting stories from SponsorPitch and emailing them around the office! For more details on some of the different types of searches (or "calls" in developer speak) you can run within our API, please visit sponsorpitch.com/api/docs. 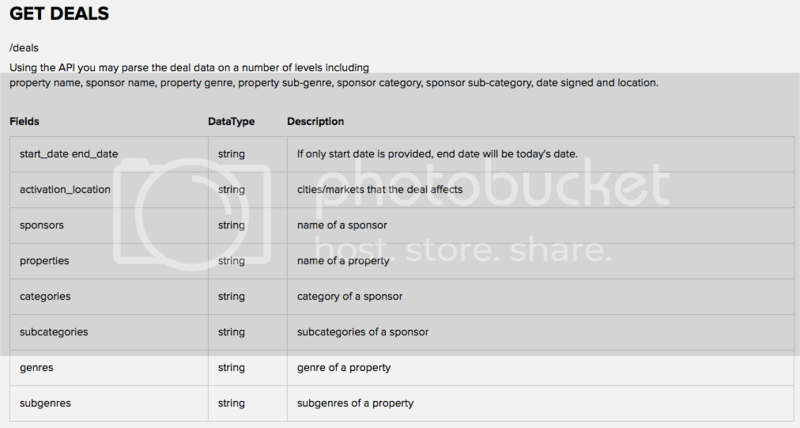 If the API is not your thing, no worries you can also now download SponsorPitch's latest sponsorship deal set in good ole fashioned excel. The advantage of this is that you can sort column data and run graphs and analysis in a format that will most likely be familiar to your entire organization. Our excel export can be downloaded at any time, as often as you like with the very latest sponsorship deals. Be careful though, your team may sadly think you've dedicated years of your life to secretly logging thousands and thousands of sponsorship deals into an easily sortable, always updating sponsorship excel spreadsheet and they may feel sorry for you! They'll get over it though because research, data analysis and lead discovery are the most essential of ingredients to closing major sponsorship deals. 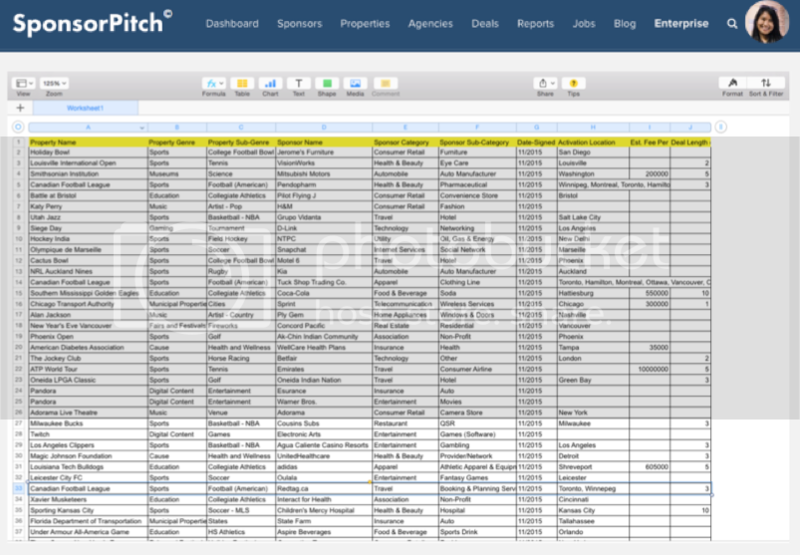 To see a partial example of our excel export, visit sponsor pitch.com/sample_excel. The full announcement on the launch of our sponsorship API and new export features can be found here. Want to learn more about the use cases for these new enterprise features and partnering with us? Email info@sponsorpitch.com for use cases and more details on how enterprise can help your sponsorship team.